Why do Obama's poll numbers matter? 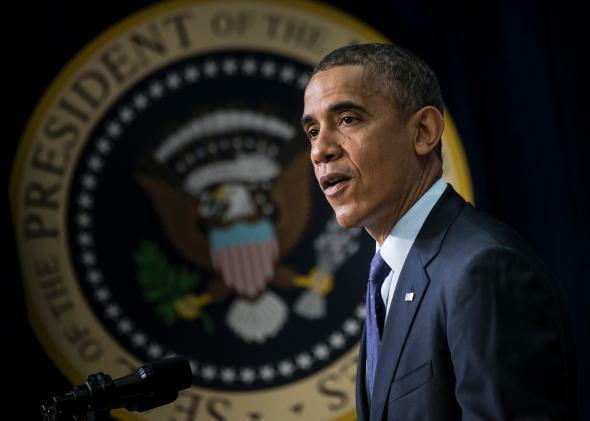 Do President Obama’s Poll Numbers Matter? This duck is waddling toward lameness. President Obama’s poll numbers are bad. His second-term favorability has him looking more like George W. Bush than Bill Clinton, as Chris Cillizza recently wrote. But do poll numbers matter for a second-term president? Health care may be the issue where the president’s slide in the polls matters the most. The Affordable Care Act is the president’s signature legislative achievement and its implementation is the president’s No. 1 priority for his second term, according to aides. The administration and the president’s political arm, Organizing for America, are engaged in a monthslong effort to encourage voters to sign up for the program. Senior Democratic senators have encouraged the White House to use the president more in this effort. If his standing with the public is diminished, it will make that hard sell harder. If younger voters don’t sign up, costs might balloon as only the chronically ill join the program. Former Clinton strategist Mark Penn has talked about the “Rule of 50”—basically, the idea that once a president’s favorability gets below the 50 percent mark, lawmakers feel free to criticize his agenda without worrying about it reflecting poorly on them. Obama has now dipped below that mark, and it’s been reflected in lawmakers’ response to Obamacare’s implementation since the Oct. 1 start date. Some Democratic members have been largely mum on Obamacare, while others have defected from the playbook entirely. The hellish snowball effect for the Obama administration is that the less favorable he looks, the more Democrats are willing to jump ship, and the more Democrats jump ship, the worse Obamacare looks.